All three captain's chairs rotate around to face the living area. The small table folds up to the wall for storage. 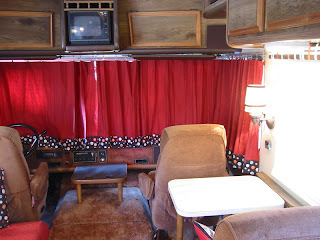 And a custom privacy curtain was installed for front window of RV which coordinates with the interior finishes.